When Norman Lawrence took over a north-east village garage with a ­sagging roof and rudimentary tools, a passing local cynically predicted he would never make a go of it. It was 1953 and the eager entrepreneur had arrived in Kemnay equipped only with a pushbike. More than 35 years and 22,200 car sales later the resident’s gloomy prophecy was proved spectacularly ill-judged – Lawrence of Kemnay was a phenomenally successful business. The doomsayer had seriously underestimated the grit and commitment of the ambitious young mechanic, a Second World War veteran who had escaped Dunkirk, seen action at El Alamein and Monte ­Cassino, and a man who loved a deal: he once did a part-exchange for a pony dubbed Shergar. The son of a shoemaker/crofter, he was born in rural Aberdeenshire, at Cortiecram, Kininmonth, the youngest of 12 children to John Lawrence and his wife Isobel. Educated at nearby Balearn, he began working on farms at the age of 15, moving between Mintlaw and Ellon until he was promoted from general farmhand to horseman. He was ploughing with a pair of horses when his best friend announced he had had enough of farming and was taking a job in Banchory, on Deeside, ­digging trenches for GPO lines. Young Lawrence promptly joined him. He laboured from ­Dumfries to the Orkney Islands where he was working when he was called up. He was sent to the border of France and Belgium, near Arras, and served with the Royal Armoured Corps. In 1940, when the British Expeditionary Force was trapped at Dunkirk, he had a miraculous escape from the French coast. More than 300,000 troops were evacuated and hundreds of little ships were organised to ­ferry them across the Channel. ­Lawrence struck lucky when he and a friend stumbled on a stray boat which sailed them back to safety. It was a very close shave. He then became a mechanic with the Royal Artillery’s 78th Division and went on to fight at El Alamein in Egypt and ­Monte Cassino in Italy. Demobbed in 1945, he met his childhood sweetheart, ­Margaret Gall, at a school reunion. They married the ­following year and their daughter Helen was born in 1947. For the next few years he worked as a mechanic in Cults on the outskirts of Aberdeen and then with the city’s Corporation Buses, until buying the garage in Kemnay. When he took it over it was a cycle repair shop and taxi business but he diligently built it up, repairing cars, tractors, delivery vans and bikes, while also selling ­petrol and driving taxis. He recognised the value of excellent customer service and reliability and would work through the night to repair a delivery van needed for the country runs that the rural community depended upon. He also started selling ­second-hand cars, moving on to new car sales when he became a Vauxhall agency in 1962. As his business grew he bought up other local premises: a garage to accommodate a workshop, a plumber’s yard became a bodyshop and a ­joinery yard a petrol station. After becoming a main ­Vauxhall dealer he bought a bakery and turned it into the parts department. 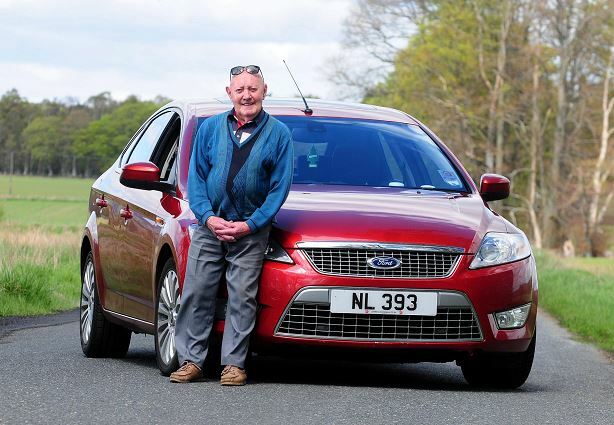 By 1984, the business was a mecca for north-east car ­buyers and had seriously ­outgrown its sites. As a result he bought a croft on the outskirts of Kemnay and, despite the misgivings of Vauxhall which reportedly thought it was not the right location, created a purpose-built facility. Once again he proved the doubters wrong when, the ­following year, he sold 500 cars in one month. His positive attitude, determination and competitive streak made things happen and ensured he met his sales targets, often rewarded with an exotic holiday from Vauxhall. Affectionately known by his staff as ‘the Mannie’, he had a well-honed sense of humour and once attended a Vauxhall Convention fancy dress party at Gleneagles Hotel as ­Monsieur Leclerc from the wartime comedy ‘Allo ‘Allo, where he proceeded to cycle round the ballroom on a bike he had just won in a raffle. By the age of 71, the ­genial entrepreneur was ready to retire and concentrate on bowling and golf. He built his own bowling green next to his home and golfed twice a week. He also enjoyed driving but, ironically for a man who had spent almost his entire working life around cars, he had never passed his driving test. As a teenager he sat his motorbike test but that was all. Then, when he heard a radio guest suggesting motorists over 90 should not drive, he saw red. Aged 94, he sought out the Institute of Advanced Motorists and passed his advanced driving test at 95. He was still driving at 99 and holding out for a telegram from the Queen but suffered two strokes, the second just four months from seeing him achieve his centenary. 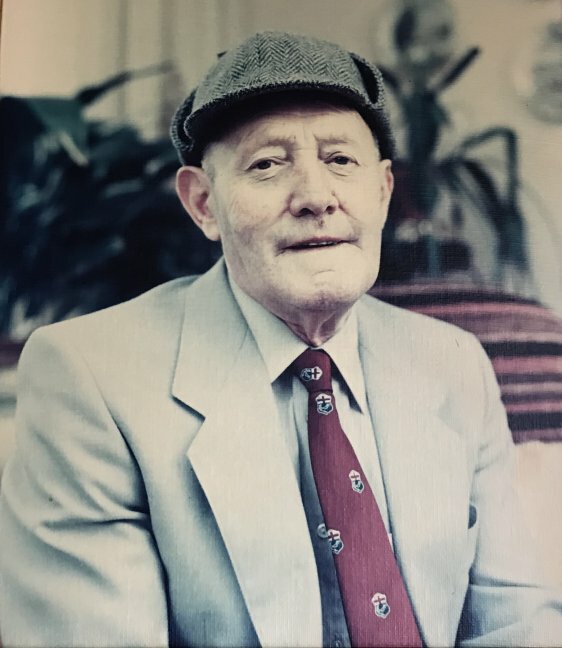 Predeceased by his wife, he is survived by their daughter Helen, who took over the business, her husband Ian, grandchildren Elaine and Norman and four great grandchildren.